What are the challenges facing online freedom, transparency and security? Today, Open State Foundation teams up with the Ministry of Foreign Affairs of the Netherlands to run an unconference, GCCS-Unplugged. The challenges for an open and free internet are tackled in an innovative way. Hackers, diplomats, civil society, representatives of the private sector, startups and academics collaborate on practical solutions and build new networks. In this unconference, participants take matters into their own hands and decide their own agenda. GCCS-Unplugged takes place within walking distance of the Global Conference on CyberSpace (GCCS) in The Hague as many local and international participants will join GCCS-Unplugged. 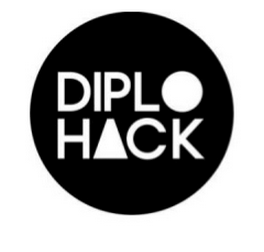 This full day event called “GCCS-Unplugged” is an edition of Diplohack where participants hack real world problems surrounding online freedom, digital transparency and digital security. GCCS-Unplugged brings together creative users who experience the need for an open and free internet on a daily basis. They decide the agenda, suggest what topics will be discussed and convene sessions. They will develop solutions, share experiences and collaborate on furthering the goal of an open, safe and free internet. Participants have posed a number of challenges and will collaborate on solutions. There will be sessions on the digital protection of journalists and whistleblowers, policies and legislation proposed on encryption and copyright in the digital age. 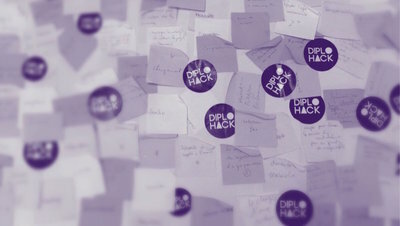 In a Privacy Café participants will work with the best forms of digital self-defence while during Diplohack sessions developers and diplomats will hack real world problems. Most of the day’s sessions, however, will be decided by the participants themselves. GCCS-Unplugged is an official side-event to the Global Conference on CyberSpace. It takes place from 9am to 7pm at the Worldhotel Bel Air in The Hague, The Netherlands, walking distance from GCCS2015, allowing participants of the GCCS to mingle with NGO’s, civic tech developers, diplomats, students, businesses, academics and civil society.